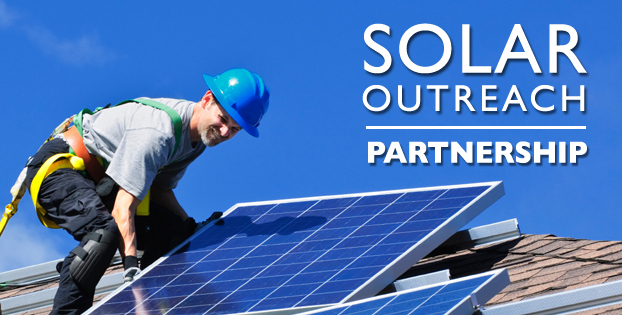 This interactive workshop, presented by the SunShot Solar Outreach Partnership, provided actionable information on creating a local-level solar program in Fremont, Nebraska on May 27, 2015. Areas of focus included: energy planning to facilitate solar installations; state and local incentives for solar energy; innovative financing options for solar projects; and why solar is viable for the Fremont area. Case study examples highlighted successful practices and lessons learned from communities that have undertaken solar projects in these focus areas. For more SolarOPs case studies, articles, how-to-guides, model rules and ordinances, presentations, webinars, and more, visit the Solar Energy Resource Center or visit www.solaroutreach.org. Download Solar Powering Your Community: Fremont, Nebraska here. This entry was posted in Nebraska / Midwest News, NewsBlog and tagged Nebraskans for Solar, Solar Powering Your Community: Freemont Nebraska, Solar Powering Your Community: Omaha, SunShot Solar Outreach Partnership on June 2, 2015 by Helen Deffenbacher.